Dr. Moore is a tenured Associate Professor of Radiology at the State University of New York at Stony Brook and co-founder of Right Dose Inc. Dr. Moore is an internationally recognized expert on lung cancer, radiation dose monitoring and low radiation dose imaging. Dr. Moore’s clinical practice focuses on diagnosis, characterization and treatment of lung cancer, as well as the palliation of patient with advanced lung cancer and chronic pain syndromes. Dr. Moore’s expertise also extends into inflammatory disease of the lungs. Dr. Moore is one of the innovators of cryotherapy for treatment of primary lung cancer and chronic neuropathic pain. 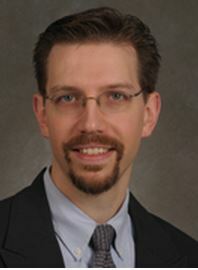 Dr. Moore strongly believes that research is the cornerstone of good clinical medicine. He is an active principal investigator on a NIH R-01 grant studying the computation science of low dose CT and the potential applications to of these techniques to current imaging paradigms. Dr. Moore is passionate advocate of low dose imaging and is actively involved in the practice of low radiation dose imaging.